One of my gardening friends in Hiram, Maine, sent along this adorable photo. 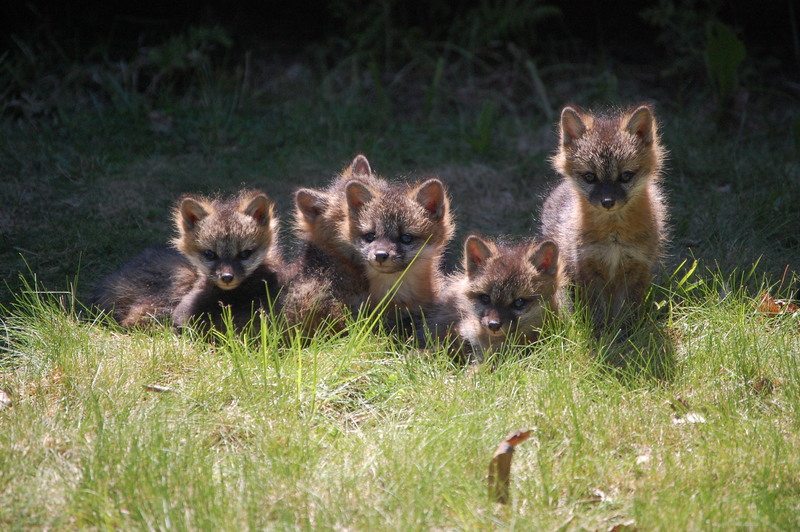 Sally writes that she and her husband, “thought he saw a kitten, then saw three – neither cats nor dogs – then they realized they were fox kits and not just 3 but 5. The kits sun themselves and roam around our barn and they are so cute. Now they are skittish as their eyesight develops but a couple of days ago we could approach and stand close without moving and watch them play. Fun.” Best of all, Sally says, is that because of the resident fox family, they have had no woodchucks in the barn! This entry was posted in Home and Garden and tagged baby foxes, fox kits, foxlets, Sally Williams on June 3, 2013 by Kim Smith.